Hip hip hurrah! Scholastic Book Clubs has a $9 touch-and-feel paperback edition of Book of Bones available this fall. Big bucket list item for me! Contact your child’s teacher to find out if your school participates in the SBC. See the entire Scholastic Book Clubs October Spooktacular Flyer here. 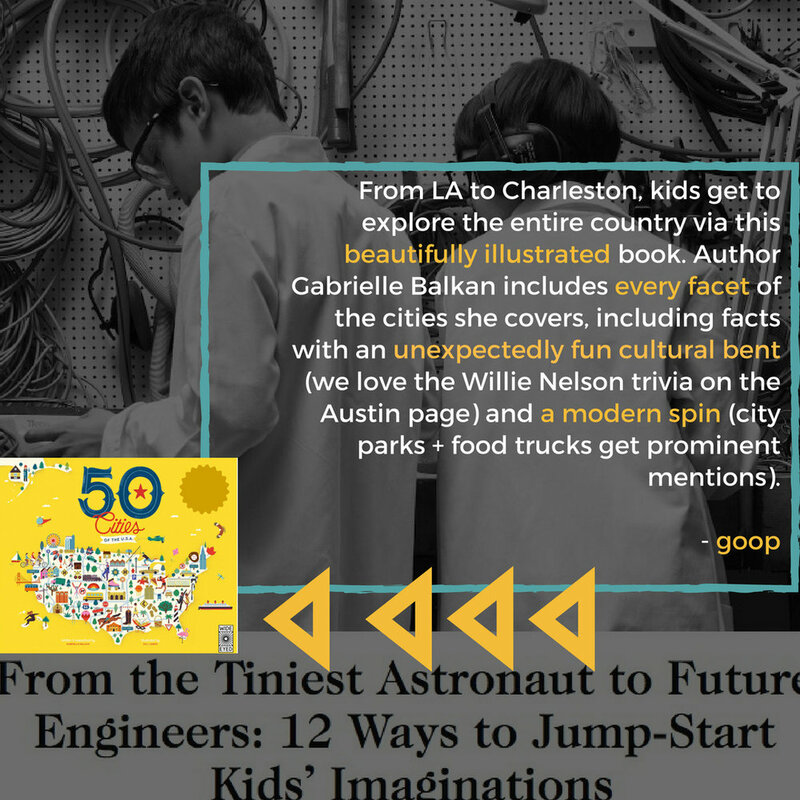 REVIEW: 50 Cities: "a coffee table book for kiddos"
In KTVK's "Look what we found!" segment, Good Morning Arizona hosts delight in being able to "sound like an encylopedia" thanks to the Phoenix spread in #50citiesbook. The golden ticket: activities and toys that both entertain your kiddo and encourage their future paths. Here, our picks for inspiring the littles in your life. From LA to Charleston, kids get to explore the entire country via this beautifully illustrated book. Author Gabrielle Balkan includes every facet of the cities she covers, including facts with an unexpectedly fun cultural bent (we love the Willie Nelson trivia on the Austin page) and a modern spin (city parks and food trucks get prominent mentions). According to the online translator I used, the way I should say "I am happy" in Polish is "jestem szczęśliwy" ... and I am! SO happy, that BOOK OF BONES will soon pub with the Polish publisher Kocur Bury. According to the same online translator, "Kocur Bury is an independent publishing house created by friends whose passion is the book, especially the children." I love them already! Don't you? Very pleased to learn about this collection of children's atlases -- the ones on outer space and animals are especially appealing -- and to see THE 50 STATES in the #2 slot! Huzzah! We spent 25 hours on research, videography, and editing, to review the top choices for this wiki. The earlier a child begins to understand his or her place in the wider world, the better. Therefore, a book that helps educate a youngster about everything from geography to international politics to global history is a priceless resource. Fortunately, most of the atlases on our list are not very expensive but are bristling with maps, facts, photos, and more. The 50 States is a bright and playfully-illustrated guide to all things American. The book highlights thousands of important and interesting places around the United States and notes hundreds of historical figures who played a role in the country's past. Watch the video here, on youtube, and at Wiki Evid. The 50 States was selected as a 2016 Notable Social Studies Trade Book for Young People. Find a preview of the entire selection online at the National Council for the Social Studies-Children's Book Council. The May-June 2016 issue of Social Education will feature a 16-page annotated, illustrated, and National Standards for Social Studies-connected pullout reference of all K-8 books, including 28 Days: Moments in Black History that Changed the World by Charles R. Smith and Illustrated by Shane W. Evans (Roaring Brook Press), Echo by Pam Muñoz Ryan (Scholastic Press), Last Stop on Market Street by Matt de la Peña and Illustrated by Christian Robinson (G.P. Putnam's Sons), and many other wonderful choices.